Our Hollow thin-line guitars deliver a unique and open sound that lies somewhere between Rock, Blues and Jazz. Playing your favorite Beatles songs are unthinkable without this guitar. Delta Blues and Jazz players often prefer this guitar because of its comfortable handling and the never-ending sound quality. 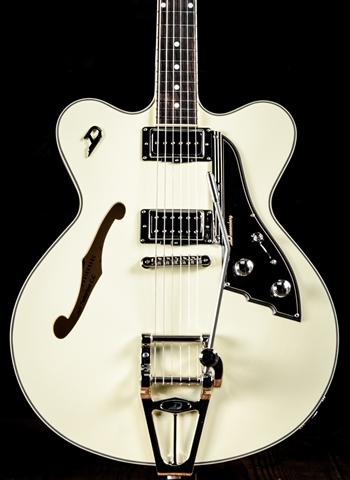 The Fullerton Hollow with its superior quality and tone will take you to new places in your playing. Size: 20.27" x 16" x 2.75"